The Other Side: Binog hills, Chengez and I: An experience of lifetime! 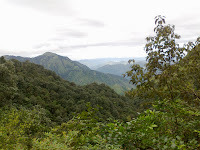 Binog hills, Chengez and I: An experience of lifetime! 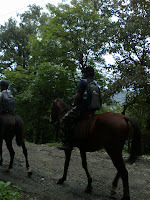 With a cloudy sky above, lush green mountains around and a wonderful horse to ride, the experience of trekking in the mountains of Himalayas is something I never imagined in the wildest of my dreams. 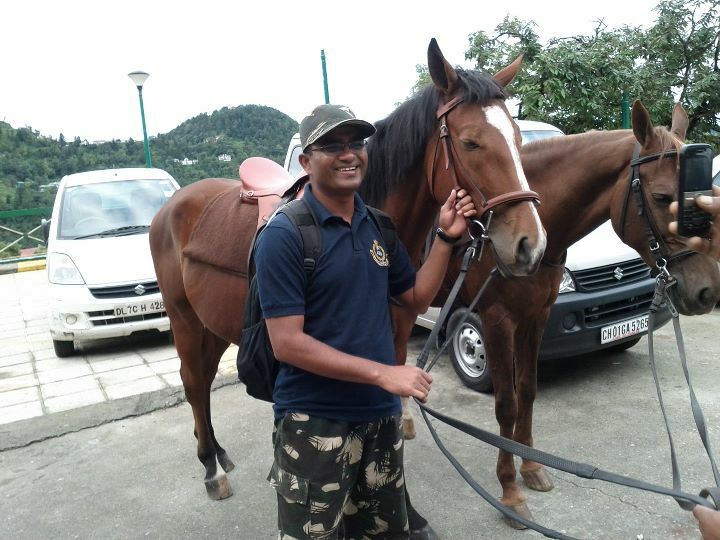 Just before leaving for the trek to Binog Hills, the horses of LBSNAA were lined up near the gate. I was quick to find my horse Chengez and the instructor. The moment i came to know that at least for the first 4-5kms the horses will accompany us, i lost no time in asking if I can ride on Chengez. Just after two horse riding classes, I never thought my instructor would allow me to ride on risky mountains. He did and I thanked him with that “Yes!” feeling! As I mounted on Chengez, for a moment, I did realize that its not going to be a cow pasture ride, it’s a Himalayan ride and the terrain is not flat! 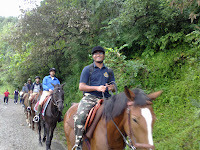 The only encouragement was the presence of riding instructors and many of my batch mates who were walking with me. A no-nonsense horse Chengez beneath, a cloudy sky above and a spectacular beauty of lush green mountains around, the experience of Binog trek is something i will cherish for a long time to come. 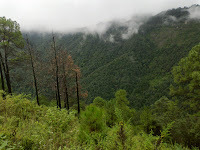 Binog hills is one of the high peaks around Mussoorie. 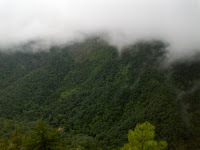 There is a small temple of Jwala Devi at the peak. 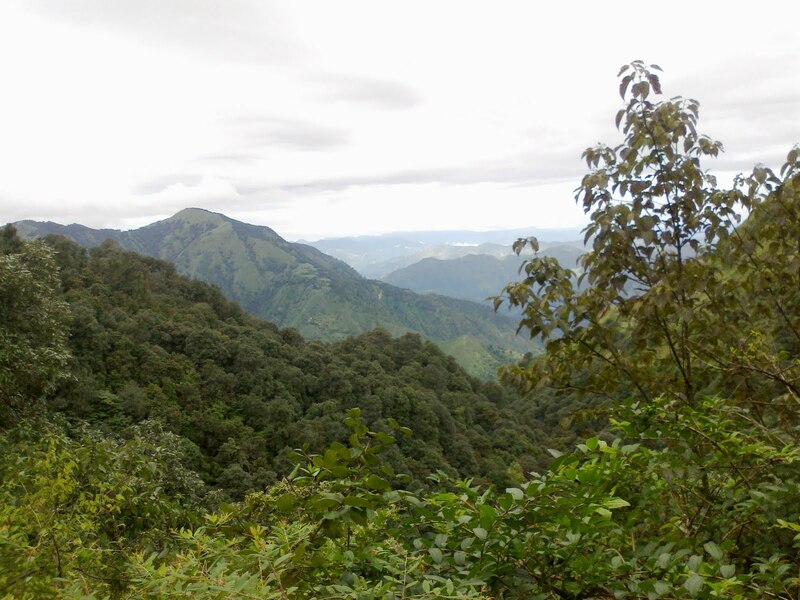 A very beautiful place with a spectacular view, just 4-5kms from Clouds End. Clouds End is a resort situated at the extreme west of Mussoorie hill, around 4kms from the academy. 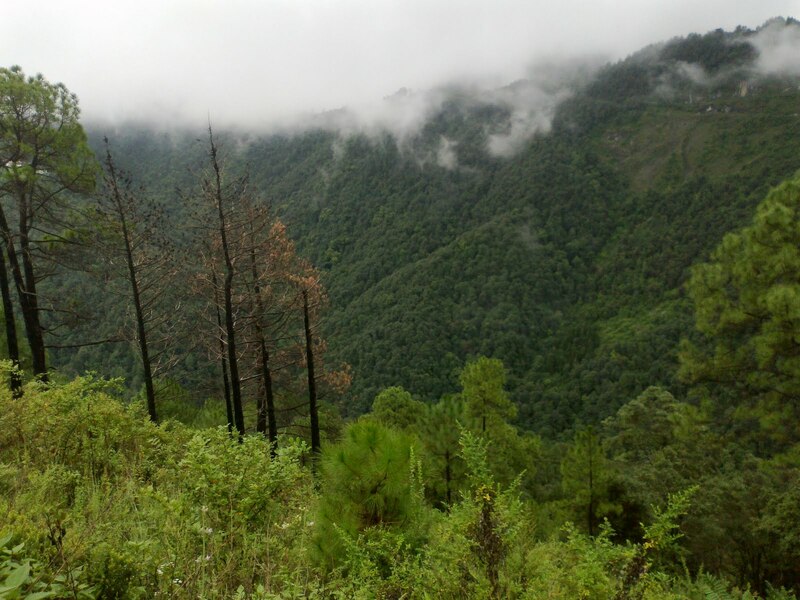 “The resort is surrounded by thick forest, offers a wide variety of flora and fauna besides a panoramic view of (snow clad) mountains of Himalayas and Yamuna river. 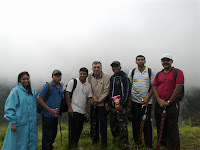 After the breakfast at Clouds end, I had to leave Chengez behind and walk towards the Jwala Devi temple at the peak. 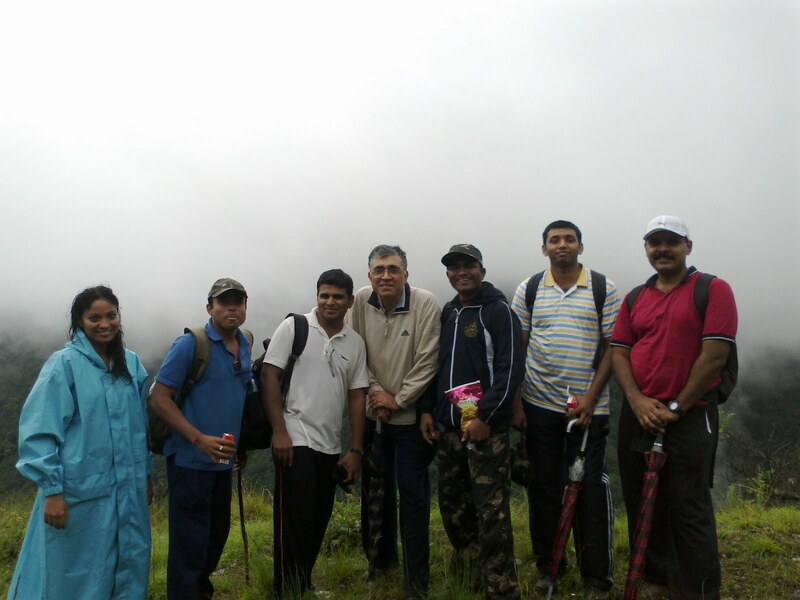 4-5kms path wasn’t that difficult to walk and the heavy rain on the way made the trek even more exciting. I decided to walk without an umbrella and a jacket, it had been a long time since i walked in the rain. The view of clouds engulfing the green mountains, the sky turning black, and the rain bringing the chilling cold, the experience was amazingly great! 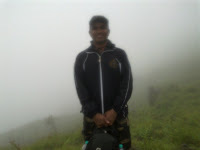 On our way back from the peak, the clouds around us were so thick that the visibility was reduced to less than 10 meters. We had to be little careful due to the rain and slippery path. Leeches made it even worse. Reaching the bottom of that mountain was quite difficult but it was worth the pain. 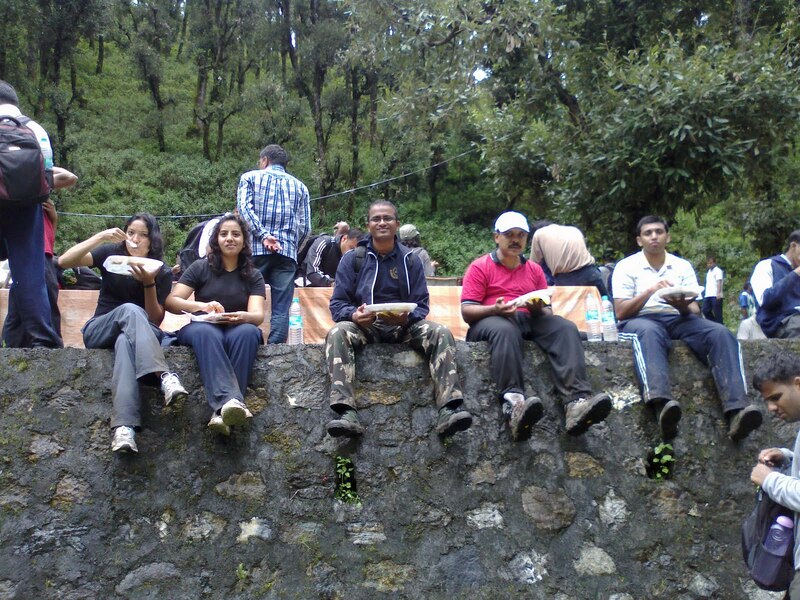 Soon after our lunch, we had to climb another mountain to reach the academy. Pushing ourself up the steep hill was really tough and the slippery concrete path on the way made our life even more difficult. After reaching the academy, a strong coffee at “Ganga Dhabha” near the hostels provided a sigh of relief! 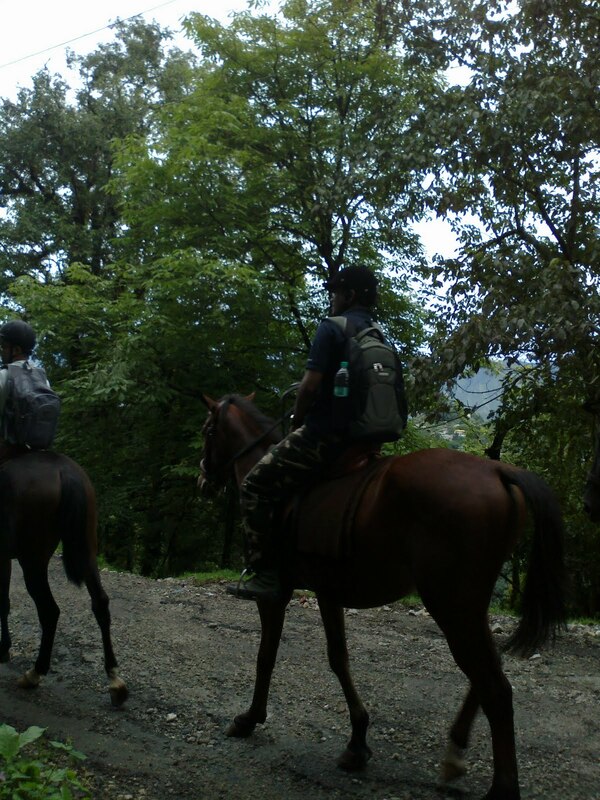 “The experience of Binog trek, especially riding on Chengez, lasted a short while but the memories will last a lifetime!”. 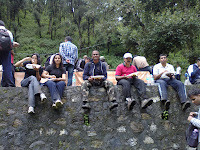 Here are some pics clicked on the way.